Switching up your style is a cinch with an easy blouse. Whether you love bold prints, versatile solids, classic stripes or pretty embellishments, our tops will elevate your everyday looks. 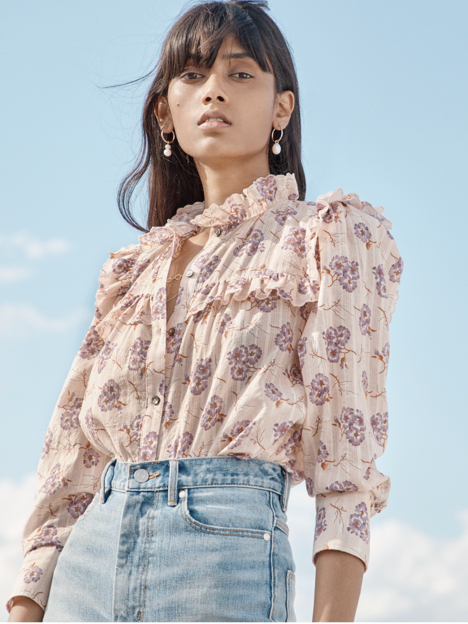 To dress your favorite pair of jeans, we love fresh silhouettes with statement sleeves or flowing ruffles. For work, we offer button-up styles as well as silk tanks and short sleeve tops that work well with trousers or layered under a blazer.